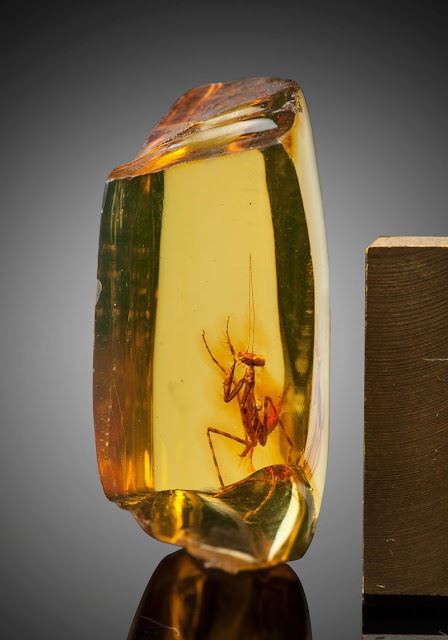 Sold by Heritage Auctions in 2016, this small lozenge size piece of amber is water clear and pale yellow which makes it very easy to see the amazing praying mantis preserved forever inside. 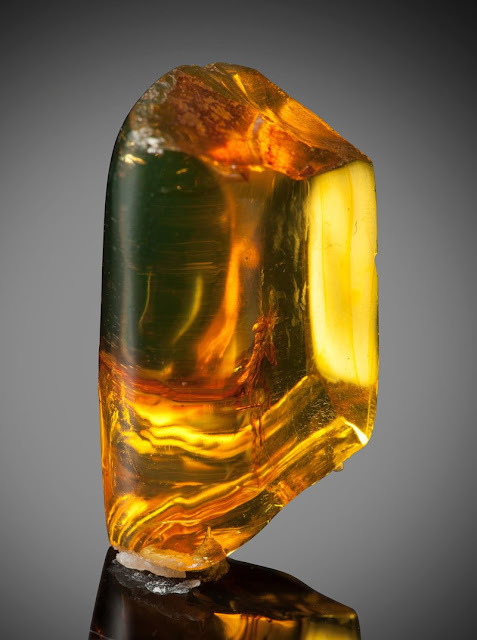 The creature with its triangular head, bulging eyes, and flexible neck is clearly visible in the exceptional specimen of the fossilized tree resin. The insect with the unique characteristics is poetically singular in the otherwise pristine fossil remnant. 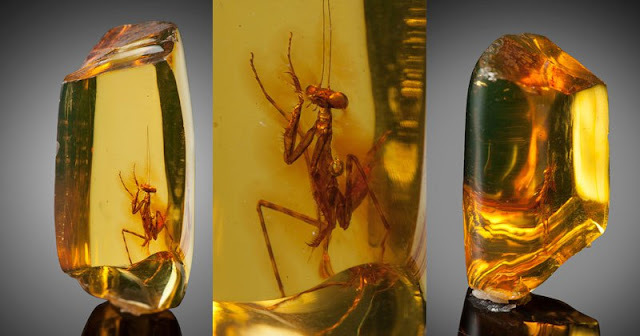 A close-up photo of the bug gives further insight into this entombed mantis. This is a tiny specimen with a major inclusion.